Improved picture quality and faster trigger in one the smallest camera bodies you’ll find. This camera is popular and a best seller for a reason. The Elite HD is the latest model in Browning’s Strike Force Series. The Strike Force cameras have a built a strong reputation thanks to great photo and video quality in a small size with affordable price tag. While many of the specs have been improved from last year, you have to wonder if they justify the newest price increase. The Browning Strike Force Elite remains one of the most compact trail cams made. With dimensions like 4.5”x3.25”x2.5” it can be classified as a “micro” trail camera. The overall body design has been unchanged, but the camo pattern has been refreshed this time around. The single latch front cover hides the 2 line LCD, buttons, and 6AA battery tray. The latch isn’t the most robust design, and moisture ingress have been known to occur if care wasn’t taken when closing the case. The rest of the specs are on par with the best mid-range trail cameras. 10MP images, and 720p videos with audio is pretty standard. The trigger speed is advertised as 0.4 seconds, which is pretty fast but nothing out of the ordinary. All the other standard features are present, like time apse, burst shot, picture delay and external power ports. Camera setup remains a chore compared to similar cameras from Stealth Cam, Primos, and others. There is new option in the setup menus called “Memory Management” which enables the SD Card to be continuously overwritten once all space has been used. If all you take is pictures, you won’t need that. But recording lots of videos can fill up a 32GB card fairly quickly. The detection circuit has been improved for this year. The triggers speeds for both images and video have both been reduced by over ½ a second. The advertised detection range is 55 feet, and test have more or less confirmed this to be true. The IR flash on the Strike Force is powerful, and will illuminate out to 100 feet. Users have reported an excellent field of view that isn’t easily false trigged by trees or brush. Images from the Strike Force are of above average quality. It can occasionally feel like the color is lacking, but the pictures are nonetheless sharp and clear. The Strike Force excels at night photos. The 100 foot IR flash is plenty and provides good contrast with little blow out of animals crossing closely in front of the camera. I should note that night photos seem to be dependent on other variables. Some people get great night shots, while others have found them slightly dim or blurred when animals are captured on the image edges. You might notice that objects in the center of night pictures are brighter than on the sides. This is because the flash emitters are focused on center distance rather than more across the field of view. The thing I know hunters will love the most about the Strike Force is the new Dynamic Video feature. No longer are videos restricted to an arbitrary length. Dynamic Video keeps the footage recording as long as the animal is moving. After 4 seconds of no motion the video stops. You won’t miss any of the action. If you love getting videos this might be the camera for you. Have a look at actual videos taken with Dynamic Video recording. TCP has reported the resting power draw at 0.8 mW, and 3.67/5.34 watts for daylight and night power draw. On only 6 lithium AA batteries you can expect up to 7 months of battery life on the new Strike Force Elite. Past models would be lucky to reach 5 months in the field. 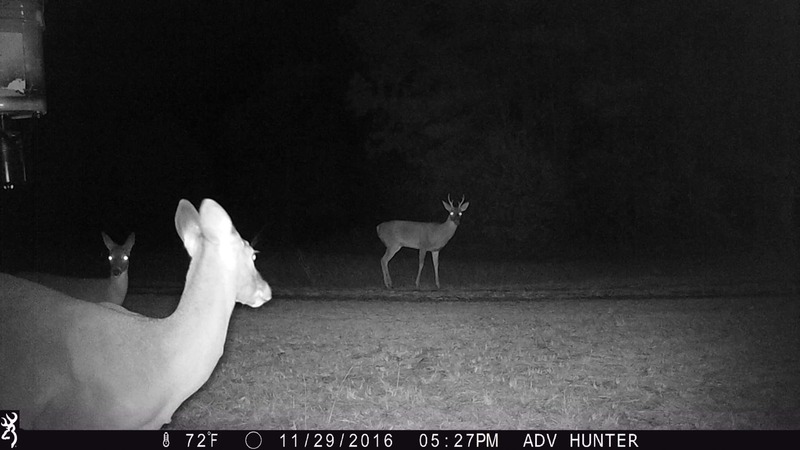 Overall, the Strike Force remains a top trail camera and offers good specs and features for its price. The improvements Browning has made to the circuitry pretty much assure it will be a hot seller for the foreseeable future. I love that image trigger speed has been reduced to 0.65 seconds, down from 0.9. Likewise, video trigger has dropped to just over 1 second, down from 1.5 seconds. Video buffs are going to love the Dynamic Video recording option, keeping the video rolling as long as the animal remains in view.